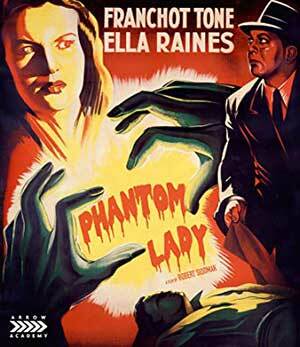 Directed by Robert Siodmak in 1944 and based on a novel by Cornell Woolrich, Phantom Lady introduces us to a man named Scott Henderson (Alan Curtis). When we first meet up with Scott, he's just had a fight with his wife and is drowning his sorrows in a bottle down at the local watering hole. Here he hits it off with a woman that we later learn is named Ann Terry (Fay Helm), but for now has no real identity. She's in a similar state of mind and, well, birds of a feather and all that. 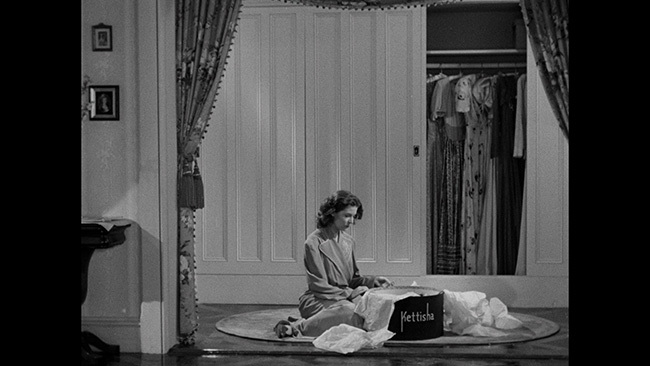 When Scott decides to split and take in a show, she goes with him on the condition that they keep the conversation light and ignore heavier matters of the heart. They never exchange names. 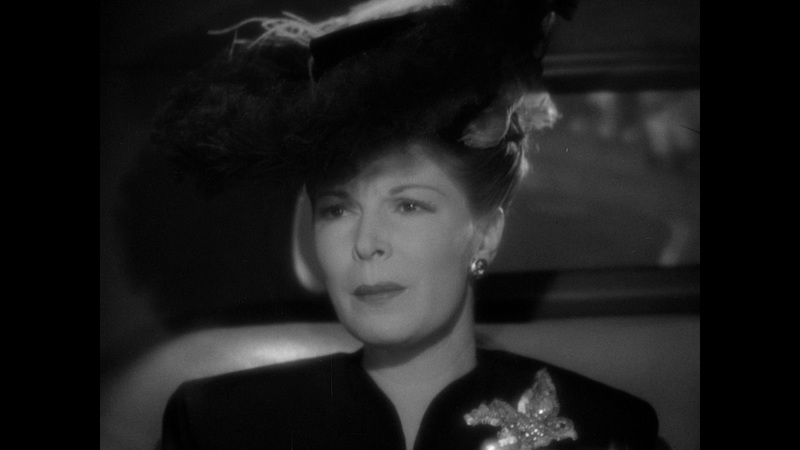 During the show, the leading lady, Estela Monteiro (Aurora Miranda), becomes visibly upset when she spies Ann wearing the same hat that she is wearing for the show (look for Elisha Cook Jr. to play the drummer here!). That same night, Scott returns home to find that the cops are all over the place. 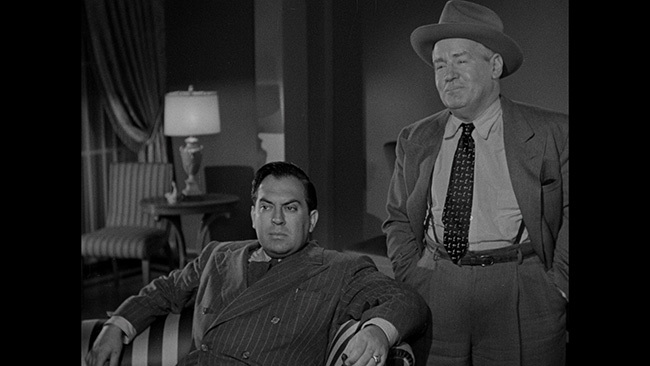 Inspector Burgess (Thomas Gomez) tells him that his wife has been murdered, strangled to death with his necktie! Scott is a suspect, of course, and he's got a legitimate alibi… except that he can't give the cops the name of the woman that he was hanging out with for the night. Scott is taken into police custody, while his friend, Jack Marlow (Franchot Tone), offers to do some sleuthing of his own with some help from secretary Carol Richman (Ella Raines) in the hopes of clearing his innocent friend's name before it is too late. 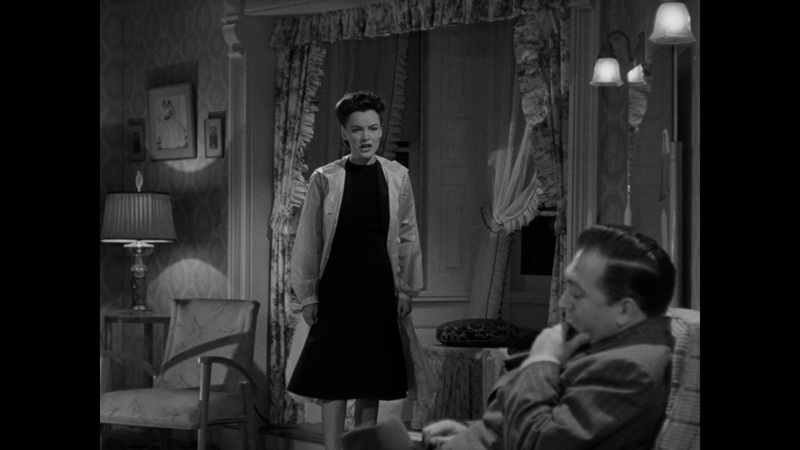 Phantom Lady is an engaging enough mystery, but you never get the sense that Scott is in legitimate danger. Case in point, even Burgess figures he didn't do it, so with that in mind, it's hard to really wind up on the edge of your seat as all of this plays out. 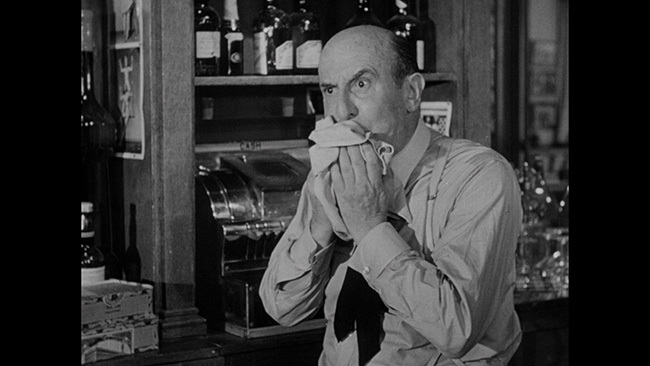 The movie also lets us in on who the real killer is around the half way point of the movie, again diminishing the film's suspense quotient in a fairly substantial manner. Still, there's definitely enough here that works to make the movie an entertaining watch, even if it never rises to the best of the ‘falsely accused man must clear his name' genre that was perfected by directors like Alfred Hitchcock. 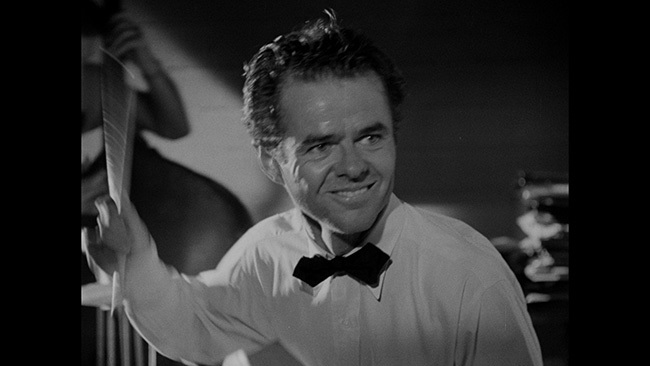 If Alan Curtis doesn't make for the most exciting leading man, he's okay here. Not great, but okay. He doesn't quite have the screen presence that a more interesting male lead could have brought to the part, but you could argue that his ‘everyman' qualities make him more believable in the role. More interesting is Fay Helm, who is probably most recognizable for her turn in The Wolf Man. Not only is she a good actress and rather attractive but she's just interesting looking and that goes a long way towards making her a good choice for the role she plays in this picture. Aurora Miranda is also fine here and it's fun to see Elisha Cook Jr. in a small but welcome supporting part. 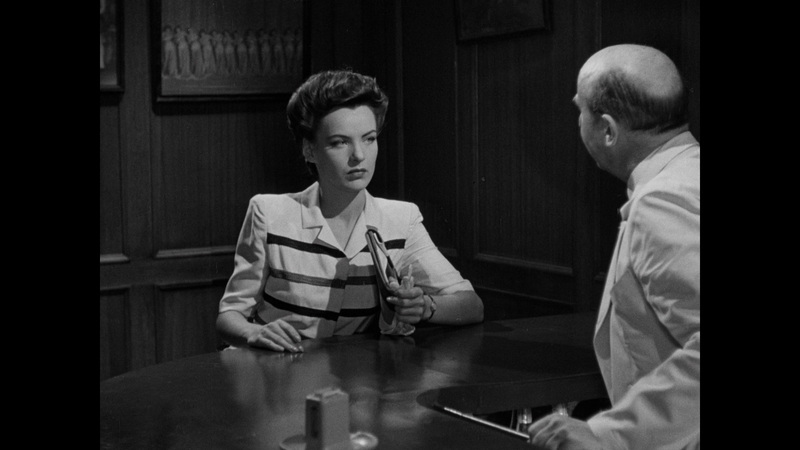 Gomez is decent as the cop in charge, and Tone rather good in his somewhat part as a somewhat dicey would be private investigator, but it's Ella Raines who steals more scenes than all the rest. She's got a very engaging vibe to her work there that makes her a lot of fun to watch. Siodmak keeps the film moving at a good pace. If, again, it isn't super suspenseful it is at least entertaining and quickly paced. 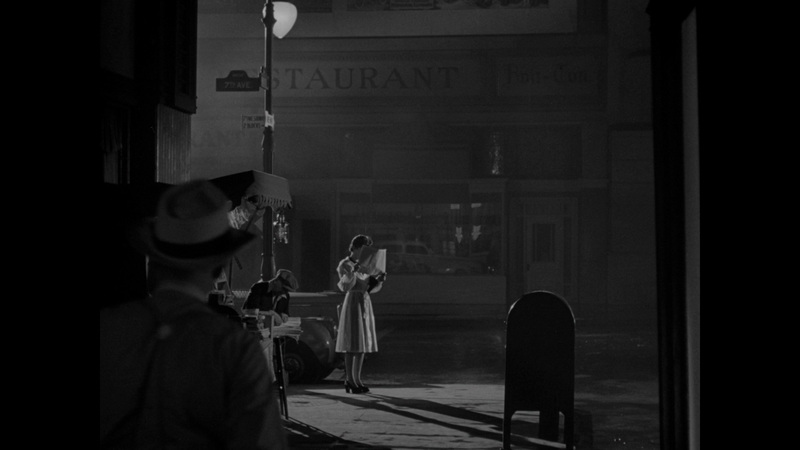 The cinematography from Elwood Bredell is always solid and frequently excellent. There are some very nice shots here and good use of shadow and light to create mood. 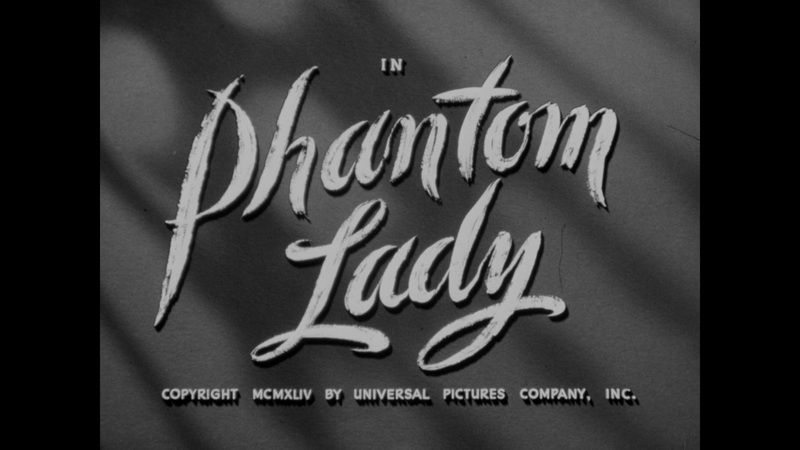 Phantom Lady is presented in AVC encoded 1080p high definition framed at 1.37.1 taken from a master supplied to Arrow Video from Universal Studios. It looks good, but less than perfect. There's minor damage noticeable throughout in the form of white specks and occasional small scratches in the first half and more noticeable larger scratches in the second half. 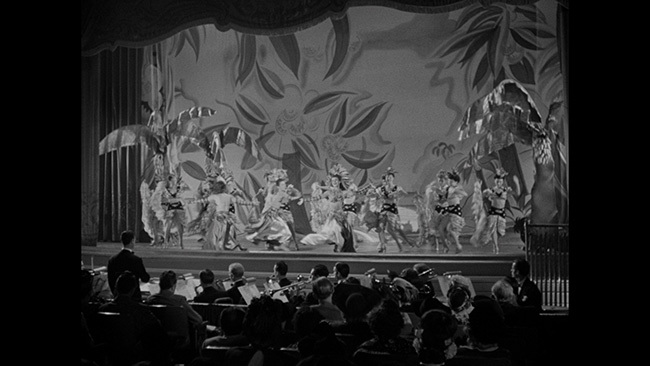 Detail most assuredly rises above what DVD could and did provide for the film, but we stop a bit short of reference quality here. Black levels are good and the disc is well-authored in that there are no noticeable issues with compression problems. Noise reduction and edge enhancement are never problematic, but it does seem like a bit more cleanup work could have been done here. The LPCM 2.0 Mono track on the disc, which comes with optional English subtitles, is a tad harsh when some of the music plays, but otherwise fine. The track is clean and properly balanced, with easily discernible dialogue. There are no real problems here to note, the audio is fine. Extras start off with Dark And Deadly: 50 Years of Film Noir, which is archival documentary from the early 90s that features contributions from Robert Wise, Edward Dmytryk, Dennis Hopper and Bryan Singer. 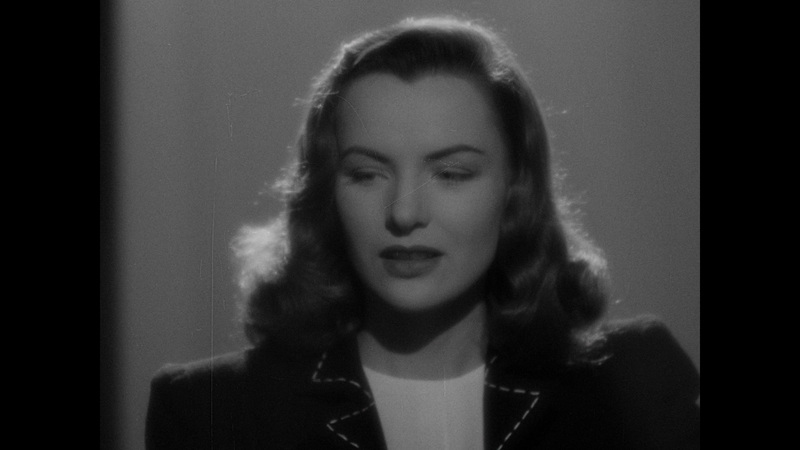 There's some talk about the neo-noir fad that was popular around the time that this piece was made, but there's also lots of discussion of vintage film noir entries. It won't really give experts much in the way of new information but it is a nice primer piece with some interesting insight into why these movies remain so popular and how many of them came to be so influential. Arrow has also included an hour-long 1944 radio adaptation of Phantom Lady taken from a Lux Radio Theatre broadcast that stars Alan Curtis and Ella Raines in the lead roles. It's an interesting listen and it's kind of neat to hear how they bring the story to life here without the aid of visuals. A still gallery of original stills and promotional materials, menus and chapter selection round out the extras on the disc itself. 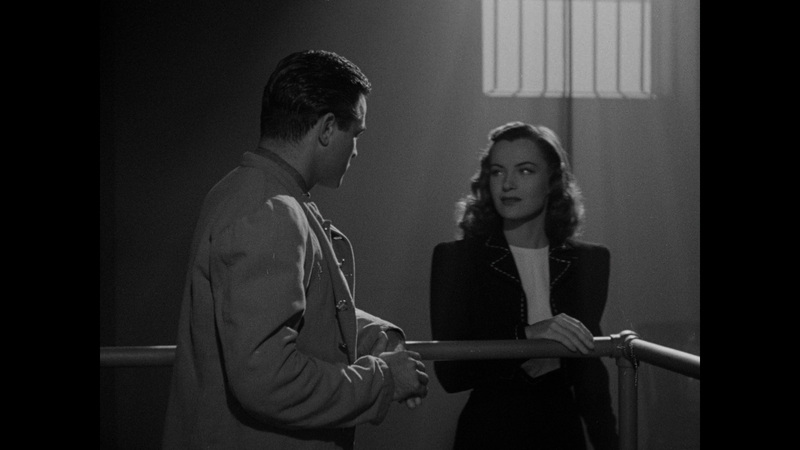 If Phantom Lady isn't as suspenseful as some better entries in the film noir cycle, it's still an engaging thriller with some fine performances and some really solid cinematography. Arrow Video's Blu-ray looks decent, sounds good and contains a few fine extra features as well. 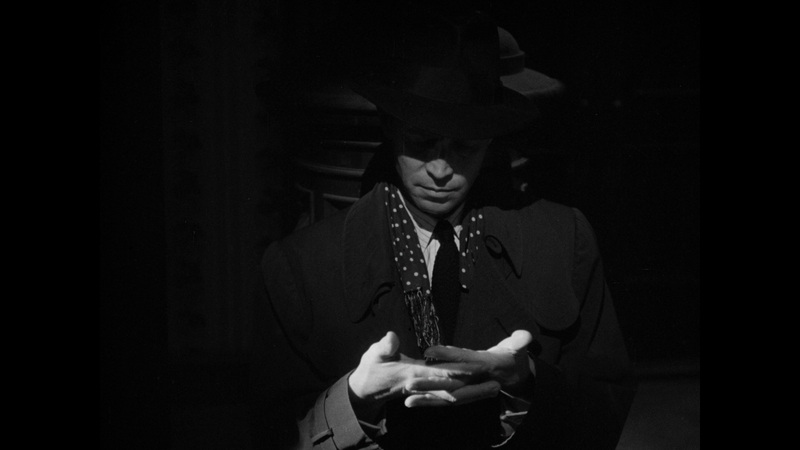 If this isn't essential noir, it's still pretty solid and, as such, it comes recommended. Click on the images below for full sized Phantom Lady Blu-ray screen caps!